Home Alone An eight-year-old troublemaker must protect his house from a pair of burglars when he is accidentally left home alone by his family during Christmas vacation. 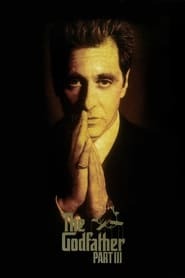 The Godfather: Part III In the midst of trying to legitimize his business dealings in 1979 New York and Italy, aging mafia don, Michael Corleone seeks forgiveness for his sins while taking a young protege under his wing. Leatherface: The Texas Chainsaw Massacre III A California couple and a survivalist encounter Leatherface and his family.